Great model and a wonderful way to display it! 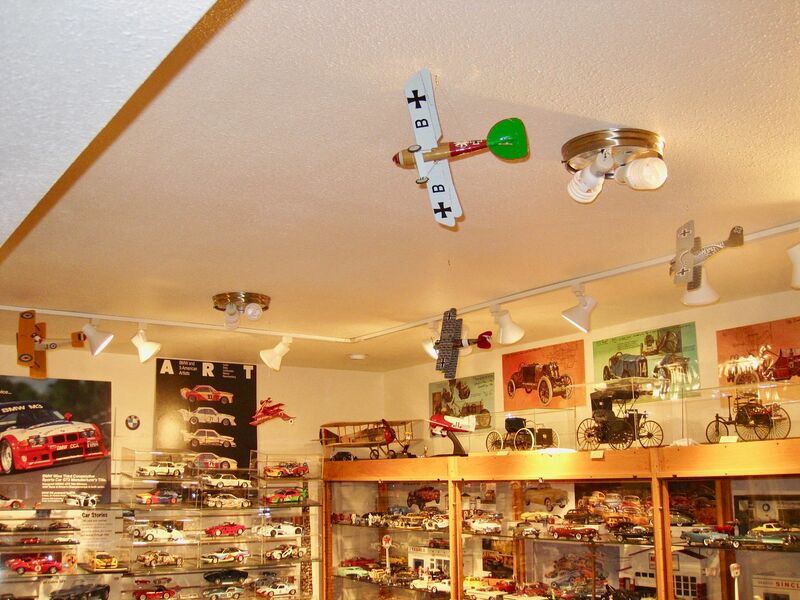 Hanging airplanes on the ceiling like that was a childhood dream of mine. 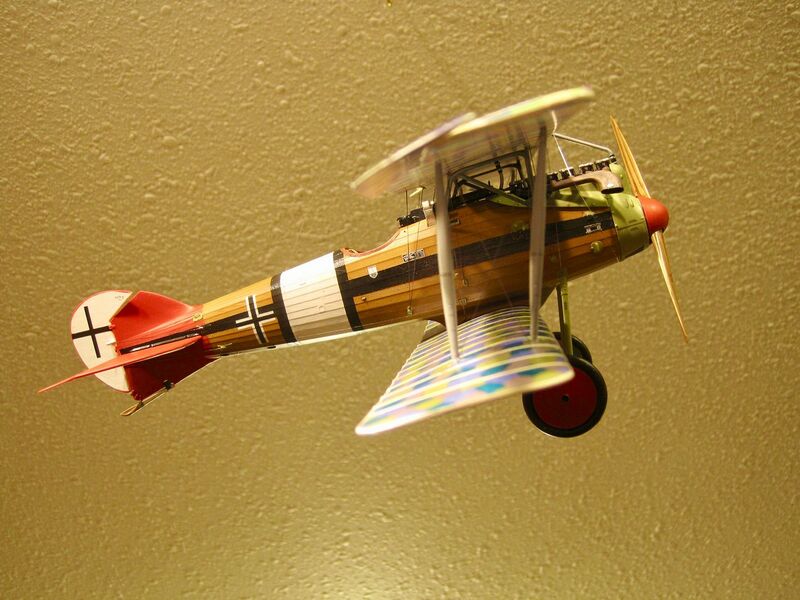 Technical question: can the Red Baron fly upside-down? My apologies for the ignorance. 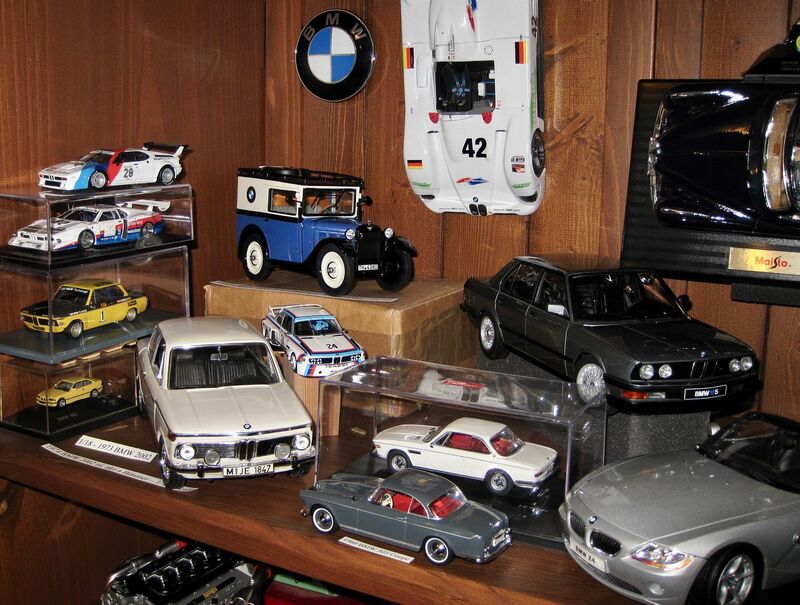 That's a great 'Man Cave'. 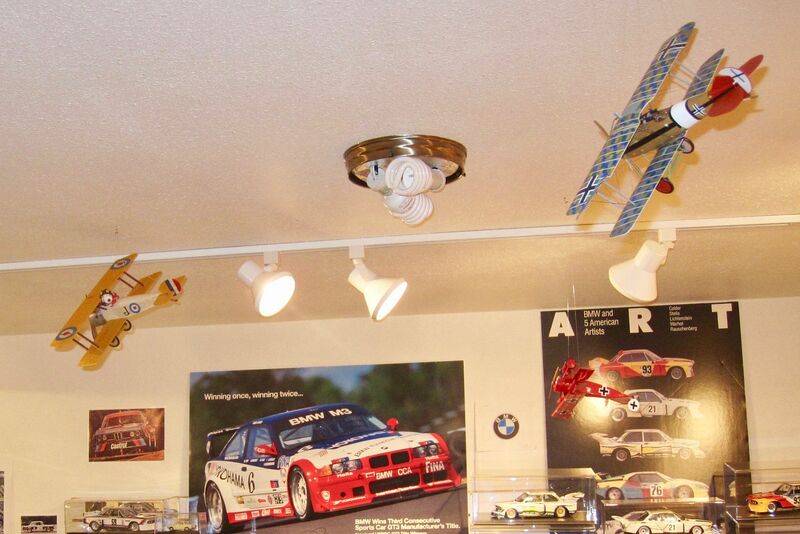 I can admire the planes, but the BMW collection is what really caught my eye. for looking and commenting, Serafa, Tom, Luciano, Julio, David Mg, and Jager. 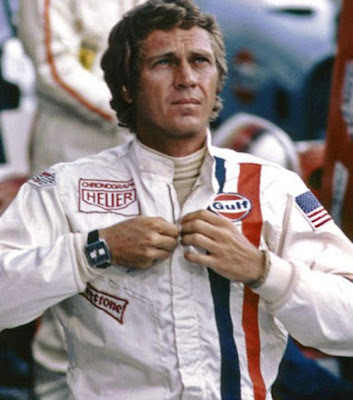 • David MG, the aerobatics link was an interesting read, again Thanks. • Serafa, basically the Red Baron's maneuvers were captured in a moment-of-time when he was inverted though "the rest of the story" was that I just wanted folks to be able to see into the cockpit and the highly detailed Spandau machine guns. 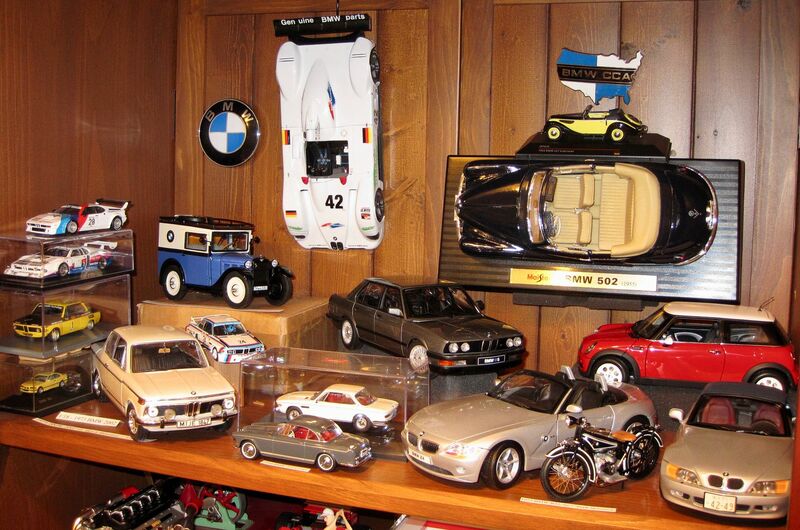 but the BMW collection is what really caught my eye. 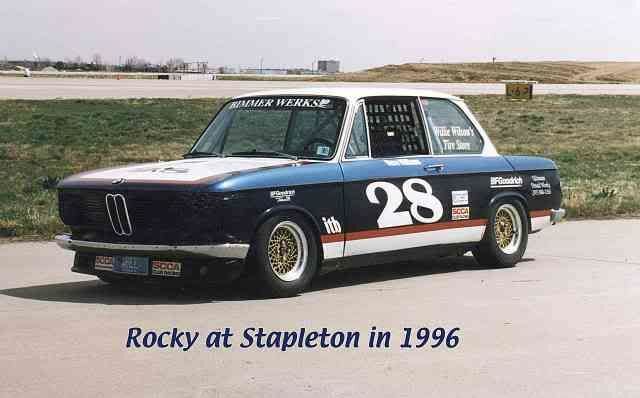 thus a few more BMW's for your perusal. I like the unusual way you displayed the ‘99 LMR vertically on the wall. Thanks for looking and Posting Tom, Julio, and Jager. One of these days am going to finish the latest, a Roland D. VIb. This looks just like a plan waiting to be put together. Had a problem with the engine mount but finally figured out a way to center it. 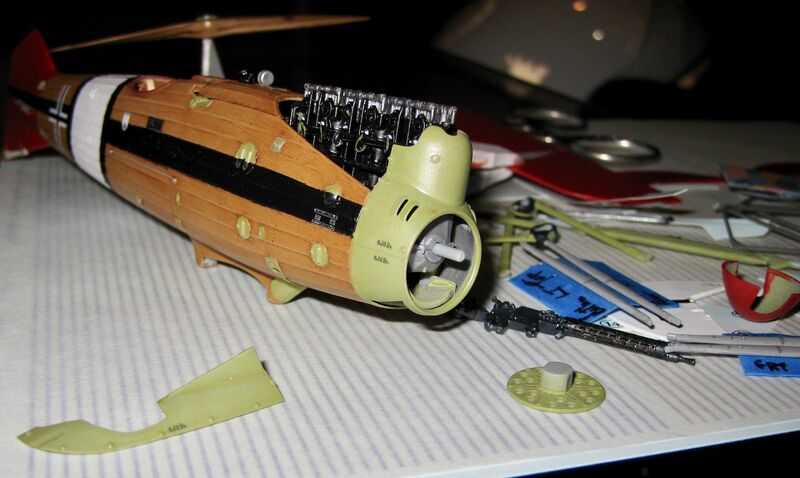 This problem has occurred with several modelers building this kit. Checking fitment of motor mount and shaft are essential before gluing. I wish I had known of this prior. Note the high placement of the crank shaft which should be centered. The Roland's bottom wing hangs from a pylon. 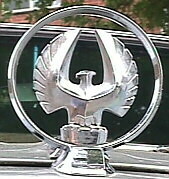 A most unusual design. Last edited by stewil on Sat Oct 20, 2018 11:20 am, edited 3 times in total. A very colourful result Steve! Great work! Come on, how can you leave that unfinished? It looks terrific! Well I am trying to get'er done. Machine guns installed but not yet finished. Note the open ammo chutes made from P/E. Wings are finally mated with rigging threads hanging from the top wing, rudder, and stabilizer. Showing the messy work space. I stack boxes to do the rigging to work at eye level - almost. I find the German camouflage pattern interesting. A hunter once told me that reddish colors are often hard to see. Maybe that is why the pink panels? That is looking REALLY good! 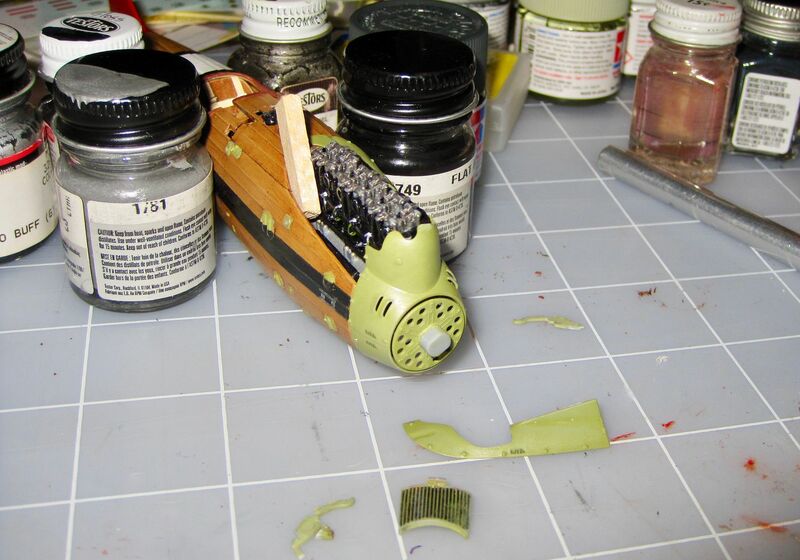 I wanna see it finished alongside it's air mates. 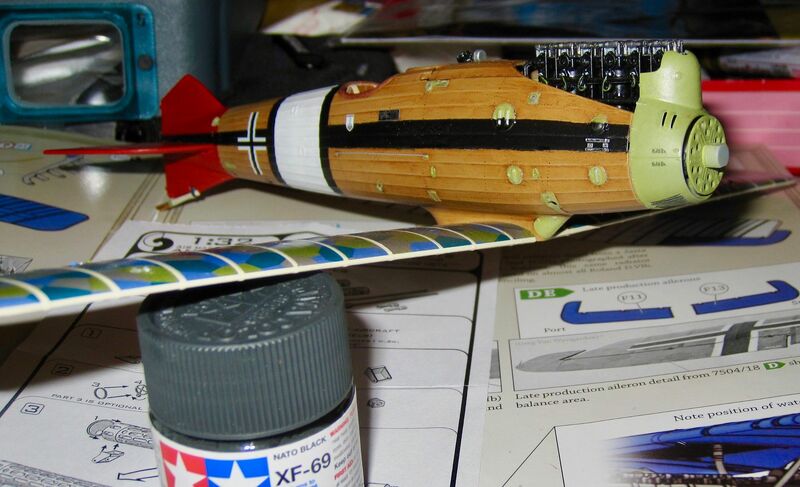 Had to make a red border on the rudder, here is how I did it. Is there a better way???? 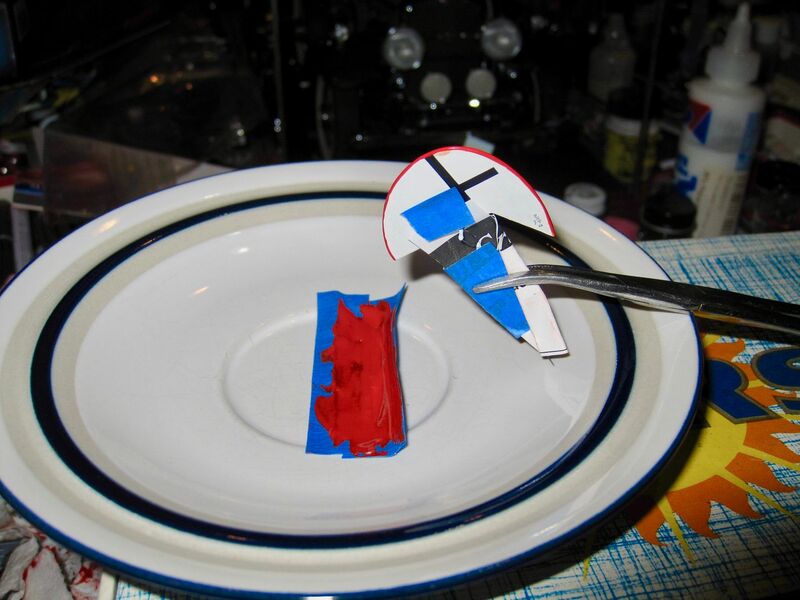 Made a shallow paint container out of tape, then rolled the curved rudder edge through the paint. Fixed flaws later with a paintbrush. Check out the "fixed" border in the following pics. The kit's box art. Nice view of the bottom wing hanging from the pylon. A unique aeronautical solution. The finished model in nearly the same attitude. Here are a few views from different angles. Many WWI Allied pilots called the German planes "butterflies" as in, "We saw a flock of butterflies below us, and then we dove on them." 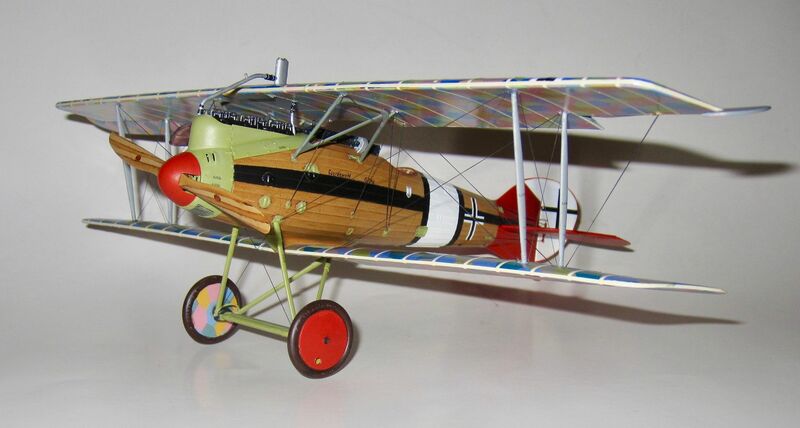 This colorful Roland certainly is a beautiful example of a WWI butterfly. And there she is chasing Snoopy across my less than white sky. Note the Red Baron is inverted and is even closer to Snoopy's Camel. (hard to see as it is in front of the Art Car poster). This photo contains all four of the Snoopy chasers and all four have interestingly designed air frames. 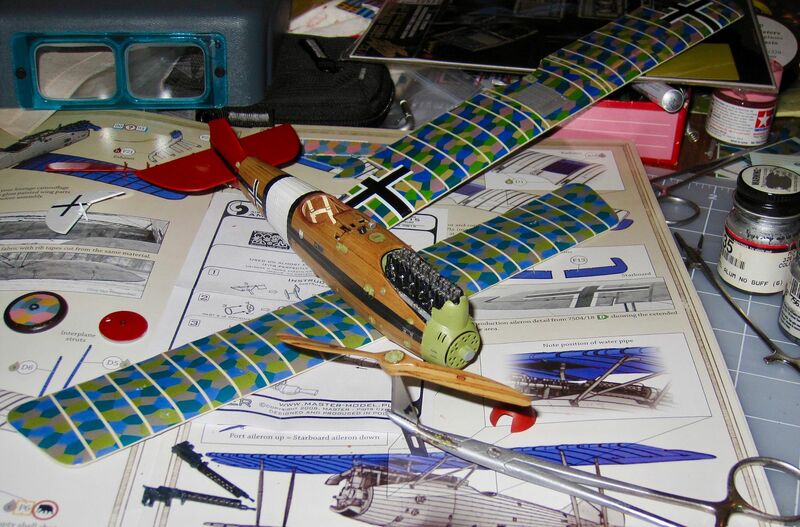 Next up will be the aircraft the created the Fokker Scourge. I hope it will take less build time than the Roland. Last edited by stewil on Wed Oct 17, 2018 9:17 am, edited 1 time in total. Man that looks COOL! Beautiful bird! But was a Fokker Dr. I capable of inverted flight? Thanks for looking Tom, Serafa, Luciano, and David. a. artistic privilege - leads to being able to see into the cockpit. b. a captured moment in time while barrel rolling or looping in this static display. 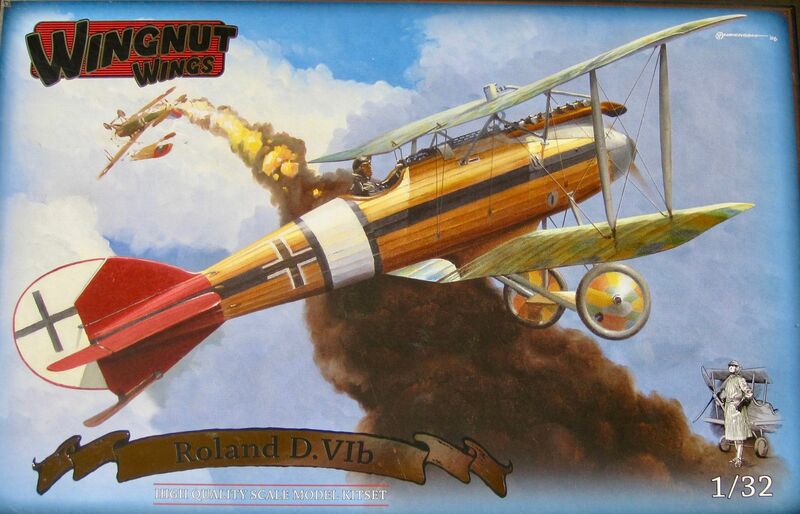 c. the Roland sprayed a few long range rounds at Snoopy, the friendly fire came close to the Red Baron who instantly initiated evasive maneuvers resulting in an upside down moment. He quickly realized it was a friendly and got back on Snoopy's tail while returning to upright flight. Sadly, he lost precious yards in the distraction. 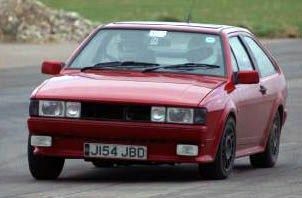 Special thanks to David MG for the flight characteristics reference and answer to Luciano"s question. Last edited by stewil on Thu Oct 18, 2018 7:36 pm, edited 1 time in total. VERY easy to solve: stick a huge mirror on the ceiling. I'm positive your wife won't mind. Have one customer who is working his way through just about every plane type they have issued so far. Brave (and not exactly poor) man. Now that you have warmed up on these you can eagerly await their Dambusters Lancaster coming late next year IIRC, still in 1:32. 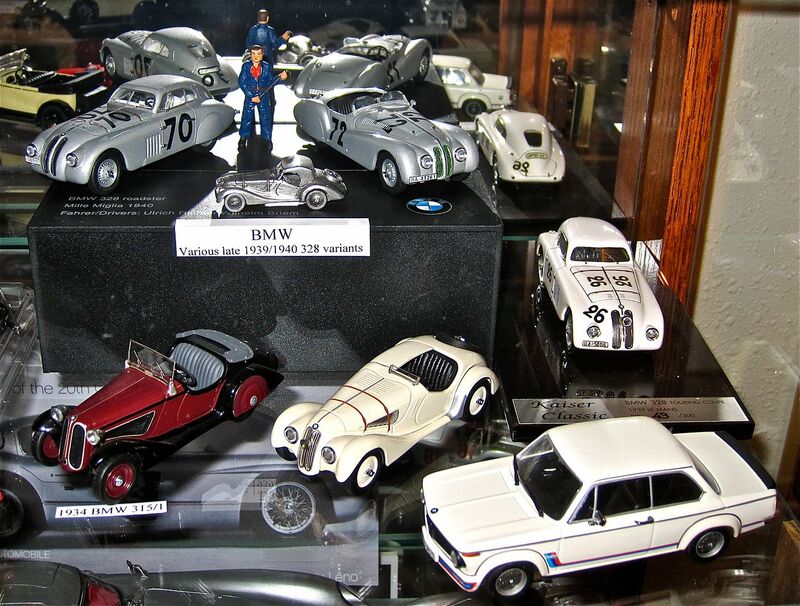 Awesomely impressive looking at the early shots from The All Japan Model show earlier this month. On a related note I bought a book while visiting the RNZAF Museum during March. Called 'Marked For Death' it was a history of the air war during WW1. Truly sobering stuff - especially with the utterly appalling politics that surrounded the RFC and RNAS and what it cost in terms of wasted lives. 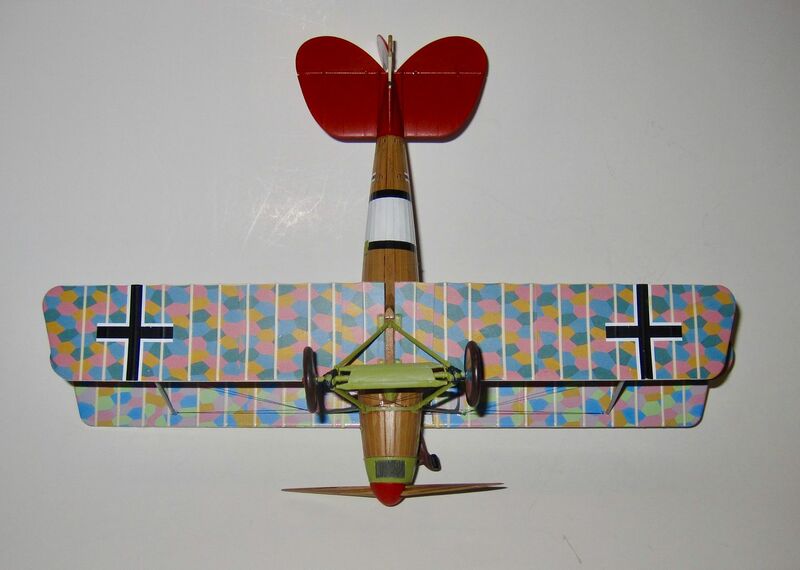 On the strength of your builds and also seeing one of their kits in the flesh in a local shop i've taken the plunge and purchased one of the Wingnut Fokker Eindekker kits. Hopefully i can turn it out as well as you do. 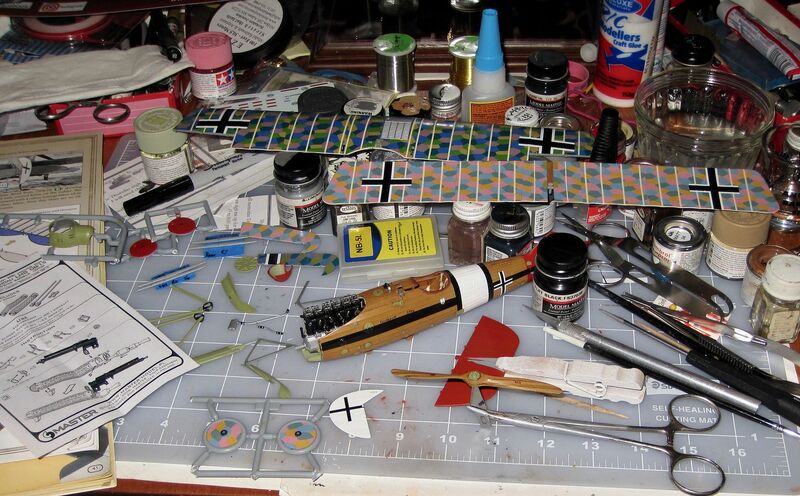 Don't hold your breath though as current kit a 1/48 Tomcat has taken 10 years so far and is still in build! Have one customer who is working his way through just about every plane type they have issued so far. That is an Awesome goal, but a few "butterflies" are enough for me as each takes months to build at my pace, so still have a few years to go. Know of the Lancaster but a Gotha is more my style and it too would be much the monster in my sky. Curiously, I ordered Marked For Death just yesterday as well several others. (Death Was Their Co-Pilot: Aces of the Skies and The Blue Max Airmen: German Airmen Awarded the Pour le Mérite, Vol.1 covering Oswald Boelcke and Max Immelmann, the first two aviation recipients of the Pour le Mérite and among the best known and most significant. 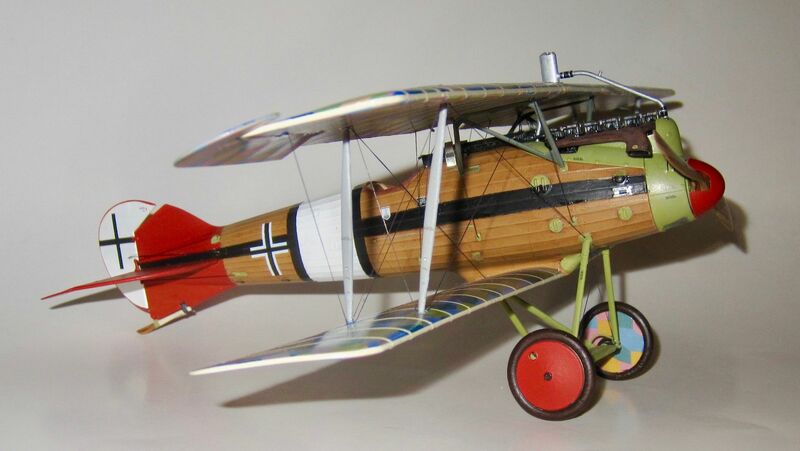 Am patiently awaiting my Fokker Eindecker Max Immelmann which takes a long time to arrive from NZ. Hopefully i can turn it out as well as you do. 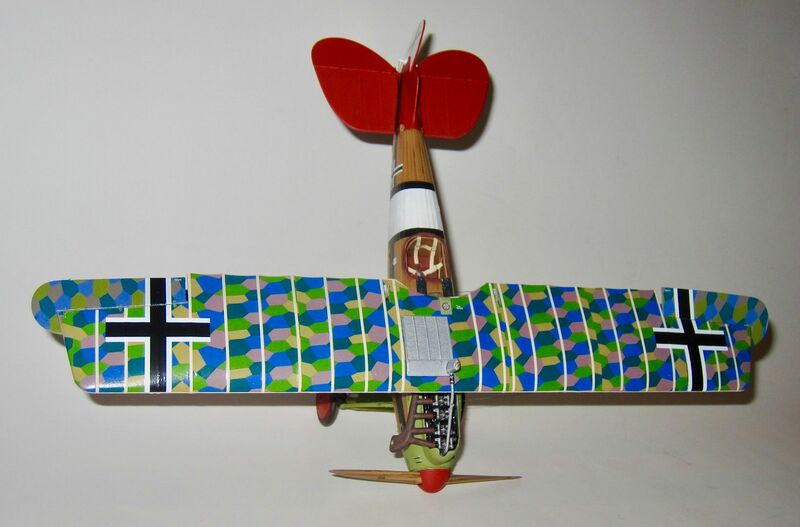 https://web.ipmsusa3.org/content/fokker ... ate-part-1 - scroll down to pics and click on them. One more: https://forum.largescaleplanes.com/inde ... okker-eii/& . I found the the paint page was very useful and used a mixture of the Tamyia water and Humbrol oils depending on application. Am looking forward to your build and comments even if it takes years. I hope to finish mine in a couple of months. 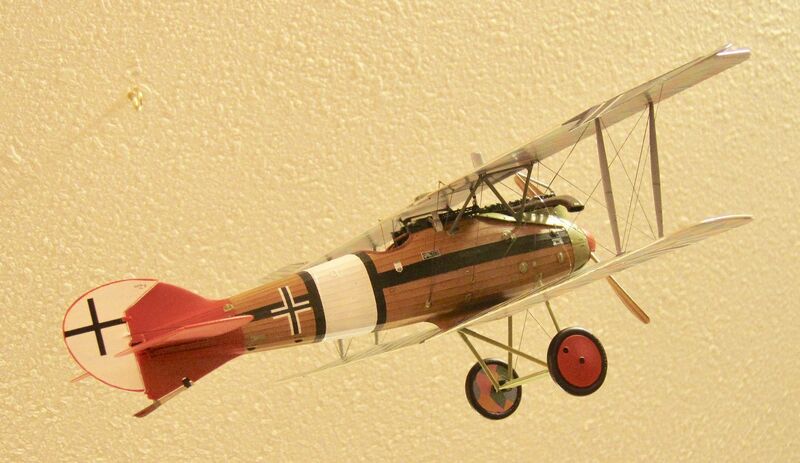 To see pictures of the 1914 Jeannin Stahltaube 1/32 scale by Wingnut Wings go to.